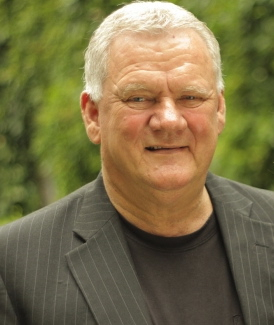 Peter Pretorius is CEO of Joint Aid Management (JAM), a South African founded registered non-profit humanitarian organisation that has been expanding its expertise in relief and sustainable development in Africa since 1984. Dev2Go talks with him about JAM’s recent successes, conditions in the organization’s project countries as well as current debates in the development community. Dev2Go: For many years, JAM’s vision has been to feed one million children in Sub-Saharan Africa. By the end of last year this goal was reached for the first time in the organization’s history. What were the crucial steps and factors that had led to this success? Pretorius: It’s been a growing success over a period of many years. It was back in 2007 that we set the goal to reach a million children by 2012. At that time we were feeding 410.000 children through a US-sponsored McGovern-Dole program in Mozambique. The next big step towards the million was when we got another grant from the US government for Angola for an additional 220.000 children. That pushed us to feeding just over 600.000 children on a daily basis. And then came Sudan. We’ve actually had a program running in Sudan for many years already. But once South Sudan became an independent nation the work increased greatly because sanctions fell away that had been imposed on the whole country before. Additionally, all the agencies were really working together to see that South Sudan becomes a success. Moreover, one has to say that there really was a humanitarian crisis. Many of the people who were actually South Sudanese were caught on the northern side of the border when the division between north and south came. They were trying to get back but the north made it really difficult for them. So by the time they crossed the border into the northern part of what is now South Sudan they were in pretty bad shape. They formed refugee camps although in fact we have to talk about camps for internally displaced people because these are South Sudanese nationals. The camps were huge and JAM started to play a role in them especially amongst the children. So our work started to increase rapidly and our recipient numbers went up. I think our program in the country is going to grow even further but it is a difficult environment to work in. You need a lot of experience for that kind of situations and although there are a lot of agencies working in South Sudan, many are not doing very big programs. At the moment, we are the largest implementing partner of the World Food Program in the provinces that we are working in. So South Sudan has really been what took us through the million end of last year. Dev2Go: Now that the longstanding goal has been reached, what next for JAM? Pretorius: The goal was just something to aim for, something to strive towards. I think man without vision goes nowhere. But there are still 32 million children in Africa that are severely malnourished. And I am not just talking about malnourished kids. I am talking about severely malnourished children who run the risk of starving. So our work to the children of Africa has to increase further. Although we set the goal to a million that was just a stepping stone. I don’t know where we will set the next goal but we definitely want to go forward. Dev2Go: A significant amount of JAM’s funding comes from the US. Recently, the development community has learned that the sequestration cuts will deduct about 5% from US foreign assistance. In which way do you think this will impact JAM’s work in the future? Pretorius: I think the 5% from sequestration is not even the biggest challenge. The American government wants to change its whole approach to aid. It wants to reduce the amount of commodities given in aid and work with cash or cash vouchers more broadly in the future – pretty much like Europe is doing it. The only problem that I see is that this brings a much bigger reduction than just 5%. In fact, the numbers that are being circulated in Washington are closer to 40% or even 50%. I am talking about the actual reduction of value. I guess there are different ways of looking at it but I think that there are certainly going to be some big changes in America. However, one has to remember that any changes have to be approved by congress first so there is still a long way to go. At the moment it’s a bit difficult to discern exactly which way things are going. But what we as JAM are doing is trying to prepare ourselves for every eventuality. Dev2Go: What about the realignments with regard to food aid that are currently discussed in the US? This could result in a huge change in how the US assists countries in Africa. Pretorius: What has been proposed by Obama is to virtually do away with Title II and with Food for Progress, two very big programs. The latest indication, however, seems like there is going to be some sort of a negotiation about keeping half of those programs. At the moment, we really don’t know where it is going to end up but there are certainly going to be changes. And we’ve got to be ready to be able to work with those changes. Dev2Go: Recently, reports revealed that Zimbabwe’s grain reserves apparently near depletion. 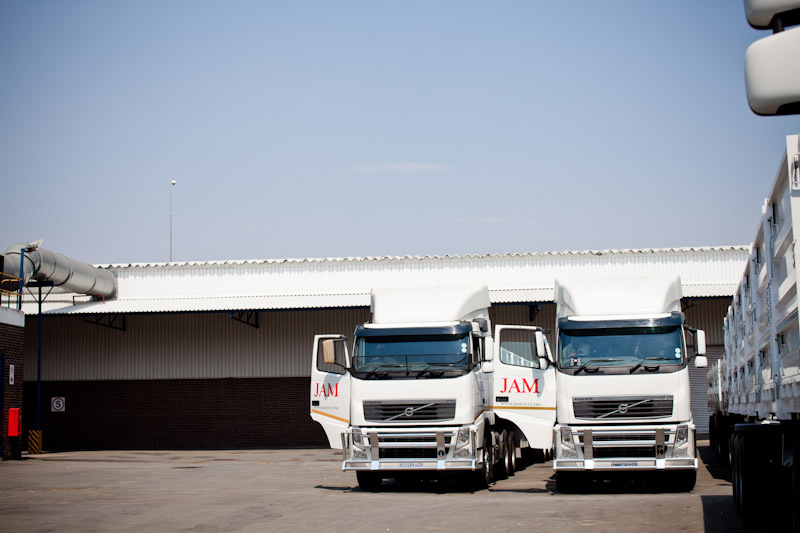 How is your assessment of Zimbabwe’s situation – especially with regards to nutrition – and how far have JAM’s preparations proceeded in the meantime to move into the country with food aid? Pretorius: Zimbabwe is in an extremely difficult situation. The safety net is literally gone. That means that the country has almost reached the end of its food reserves. So I think we are back to a situation where we were maybe five or six years ago when there were already big programs in Zimbabwe that brought in food from the outside. The problem is that the country virtually refuses to register any new NGOs. Previously we have worked there through another NGO that is registered in the country. But from JAM’s perspective we’ve not really been able to ramp our assistance up because we are not in the country. We have now been busy with trying to register for the last year and a half and we still haven’t gotten any further. What’s really needed in Zimbabwe is a change of leadership because the situation is going to deteriorate further and further. Dev2Go: How do you perceive the situation in Angola? Pretorius: In Angola we seem to be facing a worsening situation for children. I was surprised to see that in deaths per thousand for children under the age of one Angola has the highest number in the world. There has been real improvement in certain areas in the country, mostly in infrastructure. So there are roads now in most of the provinces while airport infrastructure as well as the railway system was upgraded. But the actual change to the rural communities has not yet happened and that’s where we are seeing a rapidly deteriorating situation. Dev2Go: Raising enough funds for relief and development operations in Africa is always a big problem. Up to date, for example, it is said that only 27% of the UN’s consolidated appeal for South Sudan in 2013 amounting to 984 million US-Dollars has been covered. Does this reflect a more general funding gap in Africa? Pretorius: To refer to your example, I think there is the political will in the world to help South Sudan. At the moment, however, our problem worldwide is a lack of money. Whereas countries before could very easily make a decision to increase their aid now they have to look at their own fiscal problems first. Europe is the best example. Whereas Africa could be bailed out very easily before these days, now big parts of Europe have to be bailed out. So the situation we live in is changing and it concerns me greatly. Because how do we address emergencies in the future? Before the crisis in Ethiopia in 1984 there was little political will to address starvation in Africa and the humanitarian crises that arose. But after 1984 and the exposure to world media that changed. The world took a much closer interest and was more prepared to work together to solve problems. But things have changed again in our world in the last five years. Large nations like America are now sitting with such huge debt that what’s becoming of uppermost importance to them is to try and balance their budget which they still aren’t getting anywhere close to. We would be very optimistic if we thought this wouldn’t have an effect on global aid in the future. It’s already having an effect and I think that it is even going to escalate. It is one of the reasons why we as JAM are really looking to spread out our capability to get grants from many more countries in the world that provide the opportunities rather than concentrate on America like we have in the past. Because it is a changing world. Dev2Go: Against this backdrop, there is the notion of “Africa Rising”. Recently, the “Economist” dedicated a full issue to the theme praising Africa’s transformation and suggesting that the continent is increasingly capable of solving its own crises. Is our changing world gradually rendering aid unnecessary? Pretorius: Africa is definitely rising. There is no question of that. If you look at all the economic indicators throughout our continent there has definitely been very big improvement. Still, if you think that Africa as it is today has a safety net and can address the tragedies and emergencies that happen on the continent by itself, you are simply dreaming. Although we have improved and although there has been a real turn in the African situation, we are nowhere near being able to avert crises totally in Africa. I mean that is a dream we dream of in years to come but it’s not a reality right now. Dev2Go: What always fascinated me about JAM is the fact that the organisation actually is African itself. It’s not the usual NGO originating from a rich industrialised country doing development and relief work in Africa. The whole organization actually originates from the very context that it is working in. What do you think will be the future role of indigenous NGOs like JAM in the light of a changing landscape of aid? Pretorius: I think indigenous NGOs will play a significant role in the future. Certainly funding seems to be willing to go into the direction of increasingly favoring indigenous organizations if they have the necessary capability. I think this is a huge opportunity for African NGOs working in development. But we have to concentrate our efforts on being competitive in the field and then we will get preference. It’s a dream to think that you’re going to get preference just because you are an indigenous organization. But once you’ve really developed your capacity, you have an advantage because being indigenous to the continent you understand the continent. This also means that we can do things far less expensive than any international NGO coming from outside the continent can do. The other thing is: We have a far better capability of training local people because we have a higher expectation. We are African ourselves. So we don’t make space for African people not doing a job properly. Often, this is what the international agencies do. They’re always patient, they give space and they retrain people. We train persons, we give them key performance indicators and we expect them to fulfill on the job. If they don’t we will retrain them but we will only do that once more. If things don’t improve we will replace them. When you have a high expectation you start to get high results. Finally, from an agricultural point of view a distinct advantage that we have is that we really understand development of agriculture in Africa because we’ve lived with it. We’ve lived with both the subsistence farmer’s side as well as the commercial side. We’ve seen all the problems that subsistence farmers have and I think we have a very much better idea of what it takes to help Africa help itself. We know what it takes to see that a small subsistence farmer becomes a twenty-hectare small commercial farmer. I’m excited about the future because I think we are going to do a huge amount of development in that space. I think in the future we will see indigenous organizations developing across Africa. Dev2Go: Recently, there have been hot debates on aid to South Africa after the UK has announced it would stop giving assistance to Pretoria. The Japanese meanwhile stress that the necessity for giving aid hasn’t changed so they will continue assisting South Africa. You are a native South African – would you say that your country still needs international aid? Pretorius: It is questionable whether DFID’s approach is right or wrong. The actual situation in South Africa is that poverty is on the increase. We have more children that are seriously malnourished now than we had 20 to 30 years ago. At the same time, South Africa’s middle class is growing rapidly. It’s something we’ve seen very little of before the political change, especially amongst the African population. Of course this is positive. The real concern, however, is how to deal with the big poverty-stricken population. Nothing has really changed for them. Whether that is because of mismanagement or because of a lack of resources is highly questionable. In my opinion the main thing is that we are not using the money we have to the best value. I think we can better utilize the resources we have since the country is reasonably well resourced. We do have a challenge of fulfillment especially in more rural provinces. Our government is very much aware of that. But it is one thing being aware of something and it is another thing to solve it. I don’t totally share the opinion that South Africa can stand on its own already. I think we need the assistance of the outside world for capacity development. And I think our country needs international pressure. Often the capability of the international community to exert that pressure hinges on aid because there has to be something that is driving the influence. Dev2Go: Another aspect that is increasingly stimulating a debate on the changing landscape of aid in Africa is China’s activities on the continent. How do you perceive China’s current and future role? Pretorius: What I find a little surprising about the West is that we seem to get less interest from the West while getting a hugely increased interest from China and even India in Africa. So in 20 to 30 years time when those countries have the major influence in Africa the West mustn’t ask itself: Well, how did that happen? It happened because these Asian countries are investing and are really building up a presence in Africa. The fact that working with NGOs hasn’t been a central part of China’s model of operating in Africa doesn’t mean that they are not a player in the development of Africa. One can possibly question their motives, one can question their model of working. But the honest truth is that they are still putting a lot of resource into the development of Africa. If the West doesn’t understand the necessity of that it’s going to be Asian countries that benefit most when Africa really does begin to play a role in the world. And that day is coming. I think it is still a couple of decades away but it’s coming. And by then the East will be positioned much better. JAM’s programmes, which are based on a Complete Community Development Approach (CCDA), include Nutritional School Feeding and Interventions, Orphan and Vulnerable Childcare, Water and Sanitation, and Food Development that includes agricultural development and the production of food. Communities are trained alongside these programmes ensuring the opportunity for sustainable programme outcomes. JAM strongly believes that without education, there can be no development. JAM currently assists hundreds of thousands children through its Nutritional Feeding Programme, as well as many more additional beneficiaries through wider community development ensuring that it provides a hand up toward communities becoming self-sufficient. To transform African communities by developing viable social enterprise. To empower Africans to create better lives for themselves. This entry was posted in Interview and tagged Africa, Angola, China, JAM, South Sudan, Sudan, USAID, Zimbabwe. Bookmark the permalink. ← A new inconvenient truth?